I love this card. I really, really love this card. And it showcases two products, that were not on my must have wishlist (but now they are! ): the Best Birds stamp set and the Birds & Blooms dies and the colour Peekaboo Peach. I made this card at a demonstrator meeting and it was designed by Amy Cook of Lynden, Ontario. Amy made me want the stamp set and love Peekaboo Peach. 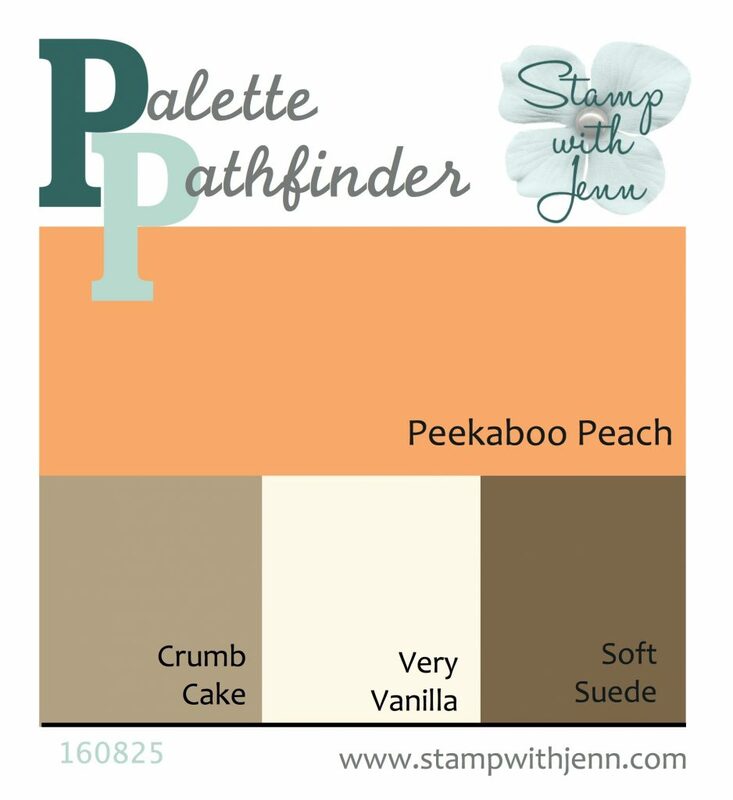 The colours on this card are Peekaboo Peach, Crumb Cake (my most favourite colour! ), a hint of Soft Suede and Very Vanilla and they are just so pretty together!! This colour combination has an almost a vintage feel to it. 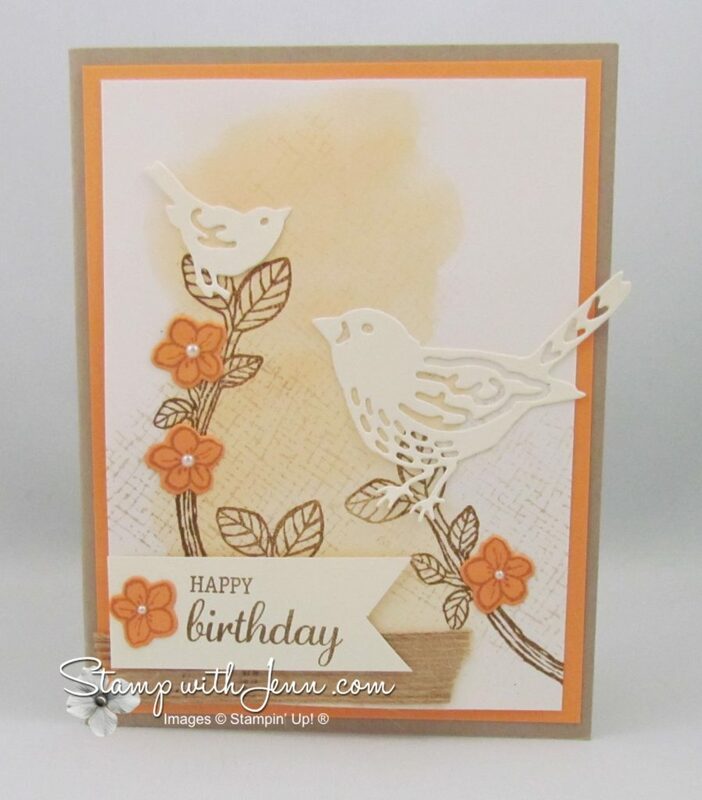 And I love the delicate bird die cuts and sweet little flowers. Even the background cross hatching is part of the stamp set as are the sayings. Great sayings in the Best Birds stamp set. So thank you Amy for making my wish list just a little longer and contributing to my new love affair with Peekaboo Peach (see some other Peach cards here and here). Thank you for the kind words Jenn! Thanks for sharing your creativity Amy!